Bremen - A 1-1 draw at lowly Werder Bremen may have been somewhat below FC Schalke 04’s expectations going into their Matchday 29 clash at the Weser-Stadion, but the point, as well as results elsewhere, ensured that the Royal Blues now have a seven-point lead over fourth place and are a step closer to returning to the UEFA Champions League next season. Julian Draxler was one of seven players aged 20 or younger in the Schalke starting eleven, a trend that is becoming the hallmark of die Knappen under coach Jens Keller. It was another youngster - 18-year-old Leon Goretzka - who registered in Bremen, but after the game Draxler took time to speak to bundesliga.com about the team’s continuing momentum, impressive array of young talent and prospects for the final few weeks of the campaign. bundesliga.com: Julian Draxler, are you pleased at having taken a point from this game? 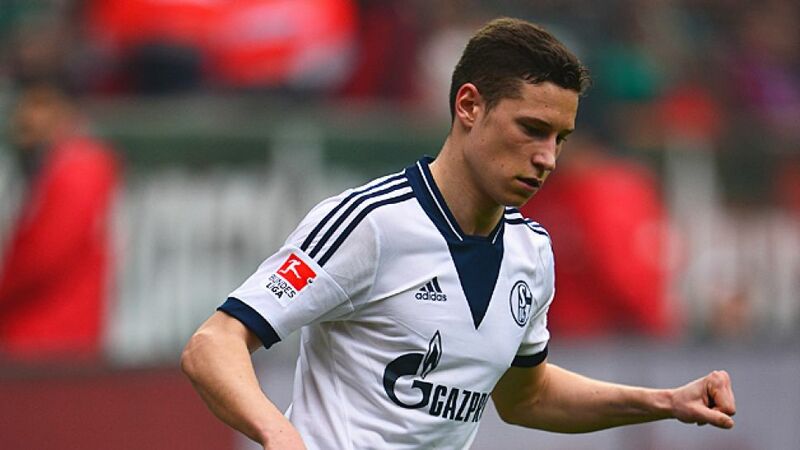 Julian Draxler: Looking at the way the game panned out, we have to accept the point. We had chances to win it, but we can be happy we didn’t concede a second goal. They were well on top in the final stages of the game. bundesliga.com: How come you never really hit your stride against Bremen? Draxler: It’s hard to say - we just couldn’t get into any rhythm. We played okay, but there were long periods when we didn’t play the football we’re capable of. bundesliga.com:Despite only taking a point, you’ve actually improved your position in the table. Draxler: Well, we still would have liked to take all three. If you look at our results since we lost to Bayern, we’re on a really good run of form, which is how we want it to be. But we’ll need to play much better than we did here if we want to beat Eintracht Frankfurt next week. bundesliga.com: Despite Schalke’s injury list, your performances over the season have been impressive indeed. Draxler: Absolutely. The young guys are doing their jobs really well, although in games like this we could possibly have done with a little more Bundesliga experience. That’s no reason to complain, though. We’ve done really well in the last few weeks to compensate for the injuries we’ve had. The situation is what it is and we’re just dealing with it. bundesliga.com: Your remaining games look promising: Apart from Borussia Mönchengladbach, every one of your final games is against a team in the bottom half of the table. Draxler: It’s never easy in the Bundesliga, but we do have a chance to get a decent amount of points from our last few matches and get at least third place. bundesliga.com:And if third place meant finishing behind your rivals Borussia Dortmund...? Draxler: We’d take that for sure, but we don’t want to give up on finishing any higher. Direct qualification for the Champions League is the priority, but we wouldn’t say no to finishing second either.